Bob's discount furniture has been called the fastest growing furniture store in the northeast. Located throughout the region, Bob's has furniture available for every room of the home at reasonable prices. Bob's first opened in 1990 in Newington, CT. Today, Bob's Discount Furniture has 41 stores located in Connecticut, Massachusetts, Maine, New Jersey, New Hampshire, New York and Rhode Island. The stores are known to carry high quality furniture. 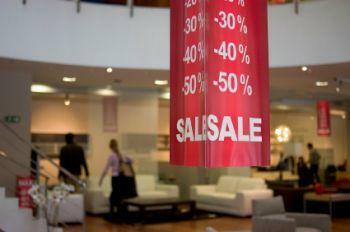 Shoppers agree that it isn't your typical discounted furniture store. Store sizes range, but most are around 8,000 square feet, giving consumers plenty of choices to see and feel while shopping. This is one retail chain that knows how to treat their customers. Some of the stores operate a free café where complimentary cookies and candy along with gourmet coffee are served. If that's not enough to make you want to enter one of their stores, then perhaps another perk found in a few of their locations will. Select locations have a wonderful surprise in store for visitors; they offer a home theater and a video arcade to entertain your kids while you shop. While you can certainly purchase furniture from any store and have it delivered to your home, you can also pick up your purchase at the distribution center in Taftville, Connecticut, or one of the store's pick-up locations. Depending on where you live, you can use one of the pick-up facilities if you wish to save on delivery charges. There are two pick-up facilities; one is located in Nashua, New Hampshire, and one is in Secaucus, New Jersey. Bob's Discount Furniture guarantees their merchandise is free from manufacturing defects unless you purchase merchandise from one of their clearance centers. Each purchase comes with a one-year warranty. However, a few manufacturers have longer warranties, which Bob's also honors. Discuss what kind of warranty and service agreements come with your furniture before you buy. There are 12 clearance centers that the company also refers to as The Pit. These centers are clearinghouses for odds and ends. Here you'll find a mixture of floor samples and slightly damaged merchandise. An E-Pit is also available on the company's website. Browse through their clearance items from the comfort of your home if getting to the stores isn't an option. You need to act fast shopping in the E-Pit, because quantities are limited and they do go quickly. The E-Pit does ship to most areas, but check to ensure it does ship to yours before you buy. If you have the time and the patience, you might find a great bargain at one of these outlets. You may discover the damaged area is in the back of the furniture where no one will see it. It could be that one of the pieces in a bedroom suite has a mismatched finish and so that piece is being sold separately. When it's sold as a single piece of furniture, you won't be able to tell it's a lighter shade than the other pieces in the suite. When you go to the Bob's website, you'll discover a convenient time-saving tool: Bob's Room Planner. If you use a pop-up blocker, temporarily allow pop-ups for the site. This online tool allows you to enter the room dimensions and gives you a very basic room layout. You can't add windows or door openings to the layout, but you can drag and drop all kinds of furniture to get an idea how your new furniture will fit into your home. Once you've added a piece of furniture to the room, the program allows you to turn it around until you have it where you want it. A great feature to this program is that you can change the room selections for different pieces of furniture. If you want to add a piece of furniture traditionally found in certain rooms, you can do so easily. Once your layout is finished, you can save and print it. For those undecided on the best layout, you can create more than one room arrangement. This is a company that truly gives back to the local communities. It's a well-known fact that Bob Kaufman, company owner and founder, is a long-time supporter of many charities and non-profit organizations. One way that this furniture store helps local communities is through an outreach program. The company's Random Acts of Kindness Van can be seen each month as it sets out to surprise a non-profit organization that has been chosen to receive a check for $1,000. Bob's Discount Furniture offers quality furniture products at discounted prices, but it's the company's many charitable endeavors that inspires its patrons. Stop into any Bob's location to experience this store, its furniture and its customer service, first hand.